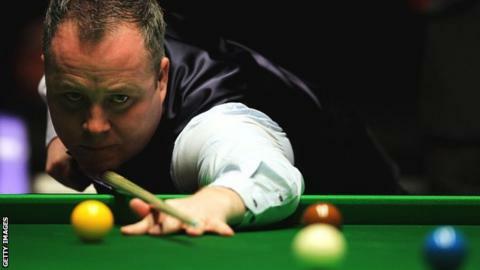 John Higgins staged a remarkable comeback to beat Judd Trump 10-9 in a classic final of the Shanghai Masters. Trump had stormed into a 5-0 lead with breaks of 112, 80, 74, 111 and 59 before Higgins, 37, hit back with a maximum 147 in the sixth frame. But having trailed 7-2 at the interval, Higgins battled back to go 8-7 ahead, winning the 15th frame on the black. Trump levelled at 8-8, Higgins went ahead at 9-8, Trump forced a decider but the Scot eventually prevailed. "To beat Judd from 7-2 down is unbelievable, I can't explain how it feels because I'm shell-shocked," admitted Higgins. "In the first session he steam-rollered me, but I still felt confident that if I came back tonight and played my best I would have a small chance. "To beat Judd when he was playing that well, it must be one of my best wins ever." It is the 25th ranking title of Higgins's distinguished career - and the first since he beat Trump in the final of the 2011 World Championship. But the 23-year-old Englishman will rue not being able to repeat his form from the first session, when those two century breaks had put him within three frames of victory, despite the sixth 147 of Higgins's career. Having been stung by Higgins's run of six successive frames, Trump hit back with a break of 105 to level the match at 8-8, then both players missed chances to seal the 17th frame before Higgins moved to within one frame of victory. A cagey safety battle ensued in the 18th, but Trump prevailed to set up a decider. Trump began the final frame with a break of 35, but lost position and Higgins was able to turn the tables, eventually taking the frame 66-36 to clinch the £75,000 winner's prize. Trump added: "John's the best I've ever played against. He played so well tonight and didn't give me a look-in until it was 7-7. "In the last frame I was a bit unlucky not to get on the black. He took on a risky red, potted it and did well to clear up. "Going into tonight I knew John was a great battler. I've played him before and been well in front, and he's come back at me."